The piling of the US$ 650 million Indian developed Krrish Square has now been completed. 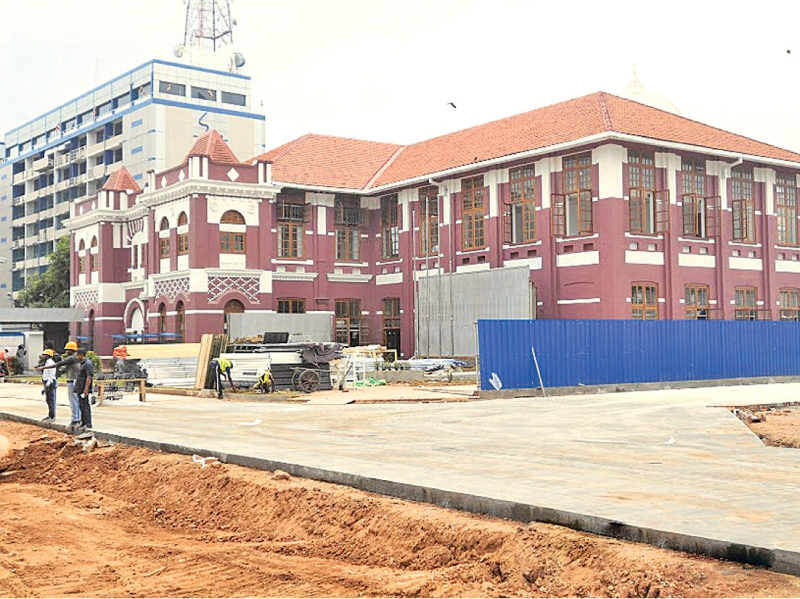 The first phase of the project which would be the opening of the resurrected Transworks House Colombo would be unveiled end of August. The first stage would see the entry of some of the worlds famed global retail marketing companies opening up its branches in the large retail mall at the Krrish Transworks House. In addition the venue will also have several other entertainment facilities. An official from the Board of Investment said that the opening up of Krrish Transworks House would result in some of the global luxury retailers showing up in Sri Lanka for the first time and this would be a major tourist attraction for shopping as well. He said that the government has allowed tax free imports of some luxury items and this was the reason that the world’s top luxury brands want to open up in Sri Lanka.The second stage of the project includes the building of two towers for which the piling has already been completed by Walkers Piling. The building contract has been awarded to Zhongtian Construction of China one of the biggest developers in China. One of the towers would consist of 73 floors and the second 60 floors. The Krrish Transworks Colombo (Pvt) Ltd has already contracted with one of the world’s leading hotel chain, Ritz Carlton to have a hotel in one of the towers which will consist of 200 rooms, several swimming pools, conference halls and additional shopping and entertainment centres. The second tower would consist of 400 apartments. The Indian developer is also planning to build a third tower. This would consist of 80 floors making it the tallest building in Sri Lanka and one of the tallest towers in the region. When all three projects were completed it would be the single biggest Indian investment in Sri Lanka.